Stay up to date with RUGBY WORLD CUP SEVENS 2018. We sit down with TV commentators Melodie Robinson and Willie Los'e to hear their thoughts on the first round of the World Rugby Women’s Sevens Series in Dubai and what lies ahead this season. 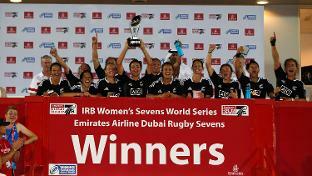 A last-minute try by Sarah Goss sees New Zealand complete the perfect comeback to beat Australia 19-17 in the Cup final to win the opening round of the Women's Sevens Series in Dubai..
Women's Sevens Series 2014/15 Dubai - Day Two as it happened! 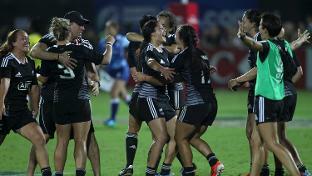 Catch up with all the action from from day two of the Women's Sevens Series in Dubai. 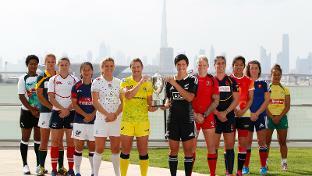 The quarter-finals for round one of the Women’s Sevens Series have been decided after a thrilling day one in the Dubai heat. 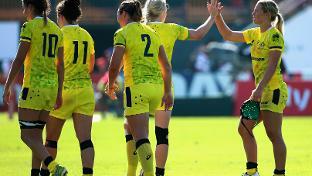 The top four teams at the end of the Women's Sevens Series will qualify for the Olympic Games in Rio in 2016 - and the first step begins in Dubai on Thursday. Former England international turned commentator Sue Day joins us to look ahead to the opening round of the Women’s Sevens Series in Dubai. PLAY the men's and women's sevens trading card game and live fantasy game to WIN great prizes!